That is our response to the increasing demand for continuous led lighting solutions to replace 6-7kW burners. 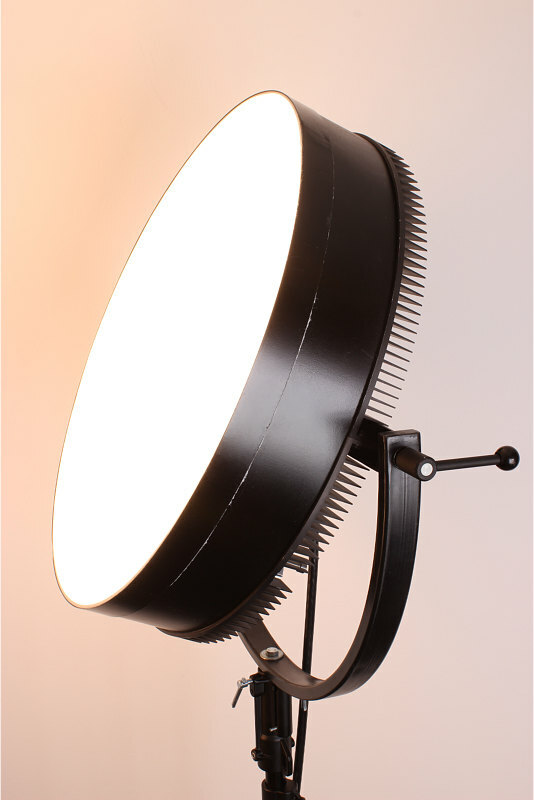 With a diameter of 70 cm and a very flat design, this power lamp is much better to handle than conventional LED film spotlights of this class. 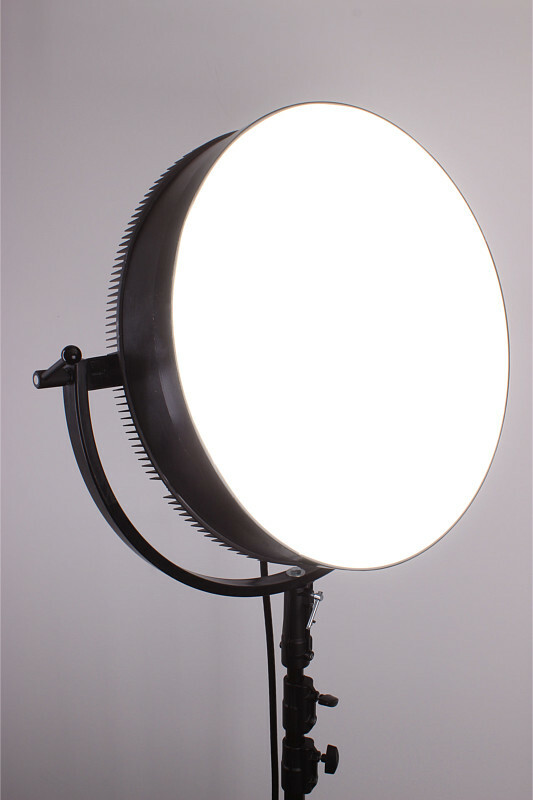 This light source offers a very soft illumination. 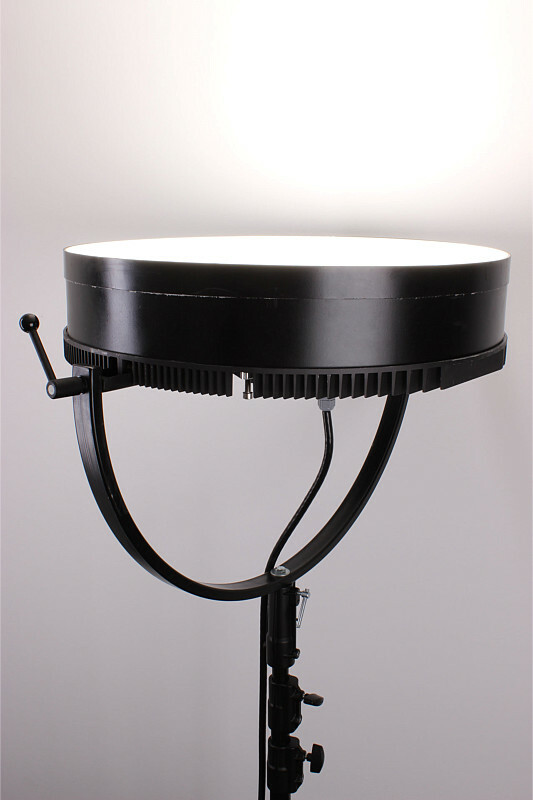 1000 watts of power with completely noiseless operation brings the HighNoon continuous led lighting on stage. Using the swivel bracket with 28mm TV spigot, the HighNoon can easily be mounted on smaller tripods. The color temperature is infinitely adjustable from 2700-6500 Kelvin. 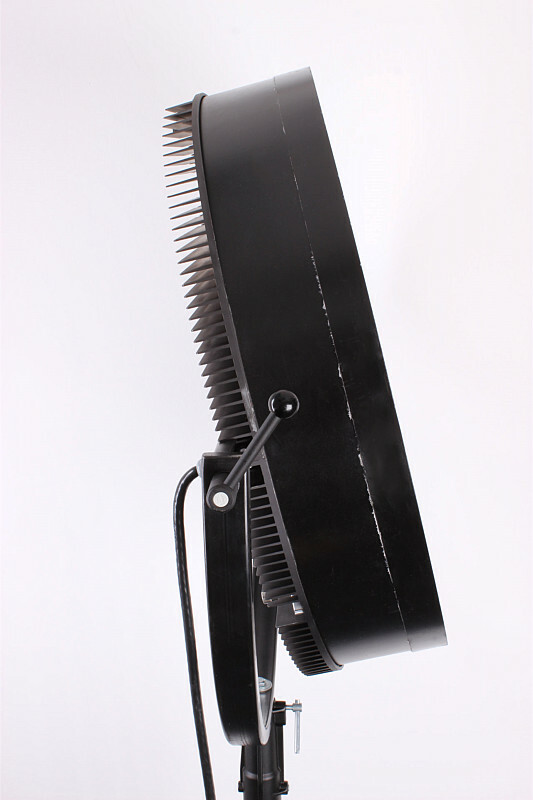 With different diffuser discs, the light scattering is adapted in no time to the needs of the set. The ICC1248 ballast has a touch display and a rotary knob for operation. DMX IN-OUT are also on board as well as effects programs like adjustable Fire effects. 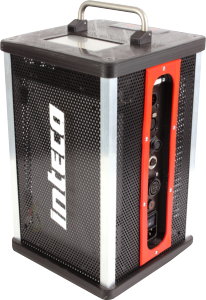 The whole system is high-speed ready and flicker-free up to 1500 fps.